Following a recent tip-off from ChamSys that the 1.7.2.6 release of the MagicQ software will include support for Open Sound Control (OSC), we look at what OSC is and how it relates to modern stage lighting systems. OSC has been around for quite a while but in recent years has become increasingly used in ‘our’ world of performance. Briefly, OSC is a protocol used for connecting computers, synthesisers and multimedia systems over a network. Sounds a bit like MIDI? Well, MIDI is quite old tech now (yet still going strong) and OSC could be said to be in that same arena. Of course, those of us in show business can’t resist repurposing stuff we found lying around and so, like MIDI, OSC has been brought into our world. OSC is a communication protocol between parts of the control system. It doesn’t talk to the lighting kit such as fixtures, strobes or smoke machines. In that regard, it isn’t like DMX, ArtNet or sACN for example. What is OSC used for? Lots of things ranging from communication between connection of multimedia playback systems particularly musical and visual performance, remote control of audio equipment and other stuff like web-based applications and VR. 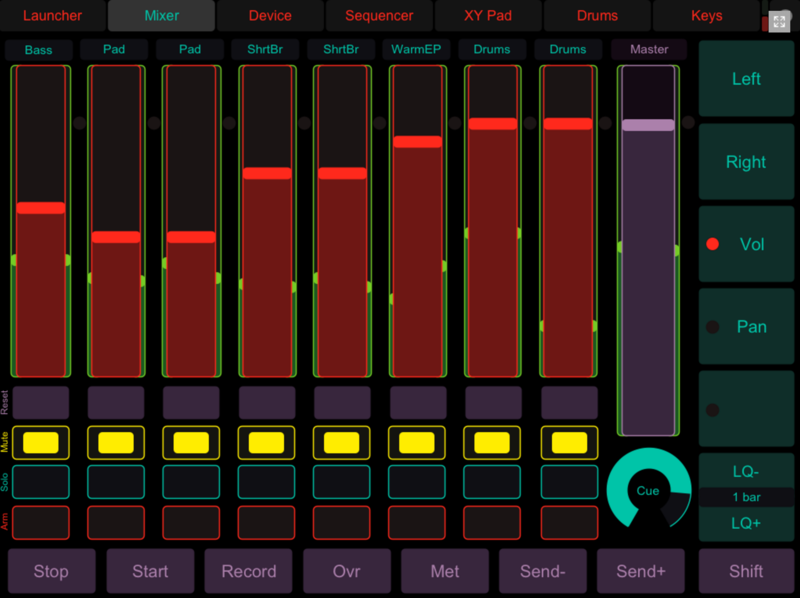 A widely known use of OSC is using TouchOSC to create mobile device remotes such a phones and tablets which then control for Digital Audio Workstations(DAW) and music creation software. In the case of live DJs, the same systems also often incorporate visual media playback and control surfaces that use MIDI or OSC to speak to other elements. The key part of getting OSC to work is networking. This includes the connection of system elements using network cables, setting up network switches, and IP addresses and ports. As I’m sure we’ve written here before, basic network setup skills are now an essential part of the modern lampie’s skills toolbox. As with most networking things often work out quickly or you spend half the day trying to work out why things aren’t talking to each other. It’s usually something silly like a firewall or a subnet issue. However, simply connecting two things together or using a loopback address to get two pieces of software on the same machine to talk to each other doesn’t have to be difficult or involved. If you are still a bit shaky on getting two bits of kit networked together, I urge you to get learning for all kinds of stage lighting reasons. How do we use OSC in stage lighting control? In the distant past, I’ve used TouchOSC along with software such as LightJams to create simple touchscreen lighting control interfaces that operate wirelessly from smartphones and tablets. OSC has a lot of potential for functions that can allow complex data to be sent and received, making it possible to do quite a lot with it. However, some stage lighting control systems are also using OSC for simple triggers, similar to those in MIDI Show Control, which can Go, Stop, Pause, Load Cue etc. This was the subject of a recent tutorial using LX Console free software and the concept is similar across other lighting control systems. Using something like Qlab 3 to fire the lighting cues from the same input as sound and video cues has obvious advantages, not least for small shows with few running crew. So, OSC has become part of the ‘show control’ furniture and therefore interacts with lighting systems in many ways at the moment. There is probably still plenty of scope for development too. Here are some of the pro lighting control systems that I happen to know have implemented OSC. If you have any more to add to the list, let us know in the comments section below. ETC EOS family of lighting desks. 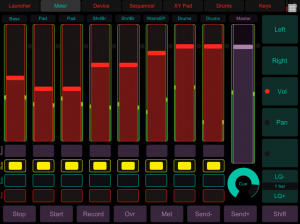 LightJams – A really interesting multi-function piece of lighting control software. Resolume Arena – A really great media server / VJ software that does a load of different things really well. Qlab 3 – Theatre style playback and show control, including OSC send and receive. So, there are a lot of potential uses for OSC in both triggering and actually controlling stage lighting systems live, particularly when integrated with audio and video playback. In lighting, we are now turning to OSC as a solution in a range of control situations. Media playback is now such an integral part of our work in the visual experience that lighting contributes to, it’s worth looking into OSC for your future shows if you haven’t already done so. If you have particular experience or questions about using OSC and lighting control systems, put them in the comments section as usual. Cheers. Hydra II by LT also has OSC implemented!!!! How about MagicQ PC Wing and Qlab 3 with OSC. Video tutorial would be nice! Noted. I had a quick go recently with QLab (4, I think) and MagicQ on the same Mac, which didn’t seem to want to play nicely (with PC Wing connected). When I got a minute, I was going to try using Desk > Mac or MagicQ with Wing to another Mac. My experiences of using the loopback address for stuff, including a visualiser via ArtNet or CITP, has been a bit more hit and miss. Two machines seems to just ‘work’. Have you tried Qlab 3 to Chamsys Maqic Q via OSC? According to their website, the AV series of ETC colorsource series of consoles, the CS20AV and the CS40AV supports OSC, although i haven’t dove into the documentation. Quite a number of lighting consoles support OSC these days and it’s becoming a preferred method of control over previously favoured methods such as using MIDI Show Control. Cheers.